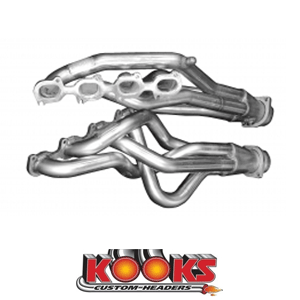 * Specially Designed for 5.4L Shelby GT 500 Wake up the exhaust on your 2007-2010 Ford Mustang GT500 Shelby with these longtube headers by Kooks Custom Headers. Made from long lasting Stainless Steel and featuring 1 7/8 primary tubes and 3" collectors to get the most power out of your Shelby! Quality Construction: No one gives you the bold clean styling of our Aftermarket Dress Ups, Suspension and Performance Parts for your American Muscle Car like UPR Products! Installs in 2-4 hours. Fits these Vehicles: 2007 2008 2009 2010 V8 5.4 4V Shelby GT500 Mustang Vehicles. Made in the USA!